This is a marvelous example of Roman art! It is one of the two statues representing the Dioscuri (roman deities) that flank the impressive stairway leading to the top of the Capitoline Hill in Rome, Italy. The statues date from around 200 AD from the times of Septimius Severus. No matter if you care or not under what emperor this sculpture was created, you have to admit it is amazing! 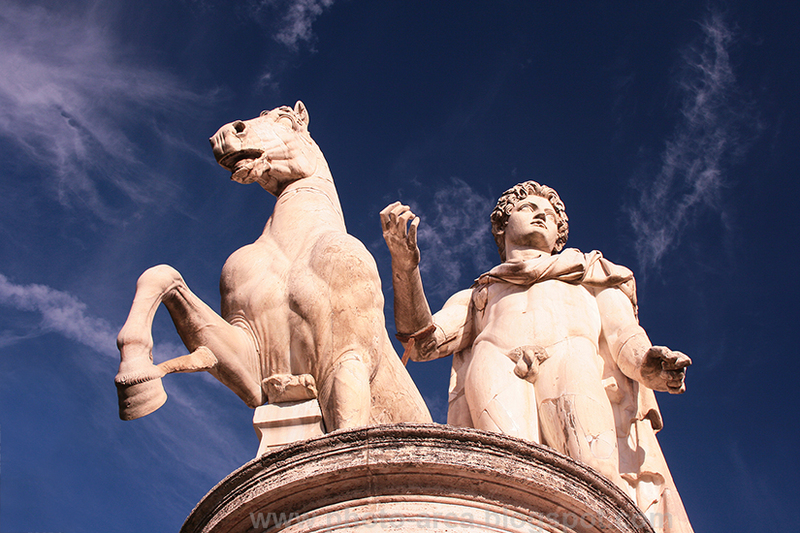 When in Rome ... go visit the Capitoline Hill, it is beautiful, full of history and art!